Celebrate Valentine’s Day watching a classic romance from the Golden Age of Hollywood at one of the city’s most gorgeous movie palaces! 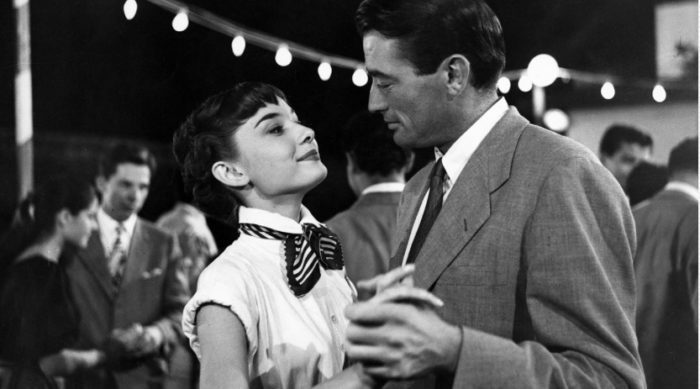 Bring your valentine to DTLA’s Los Angeles Theatre for Cinespia’s screening of Roman Holiday, starring a luminous Audrey Hepburn and handsome Gregory Peck. Hepburn won the Oscar for Best Actress in this charming 1953 film about a bored princess who escapes the palace to explore Rome unchaperoned. Along the way she meets Peck’s American newspaper reporter, also traveling incognito, who’s looking for an interesting story. The evening will also feature a DJ, complimentary sparkling wine from Freixenet Cava, and a photo booth. Tickets for this memorable evening are $33 for General Admission, or $85 for Reserved. Doors open at 7 p.m., while the film begins at 9 p.m.